We can’t deny the impact love – especially romantic love – has on our lives. We’ve all been moved to do amazing or foolish things for the affection of another, and our experiences, enshrined forever in our hearts, go on to inspire music, poetry, and the greatest stories of our time. It just so happens that some of the most beautiful love stories come from Asia. With television series like Boys Over Flowers, Descendants of the Sun, Doctors, The Heirs, Legend of the Blue Sea, and Pinocchio, South Korea has made countless viewers all over the world relive every heartache, every joyful pang of longing we’ve ever experienced in our lives. 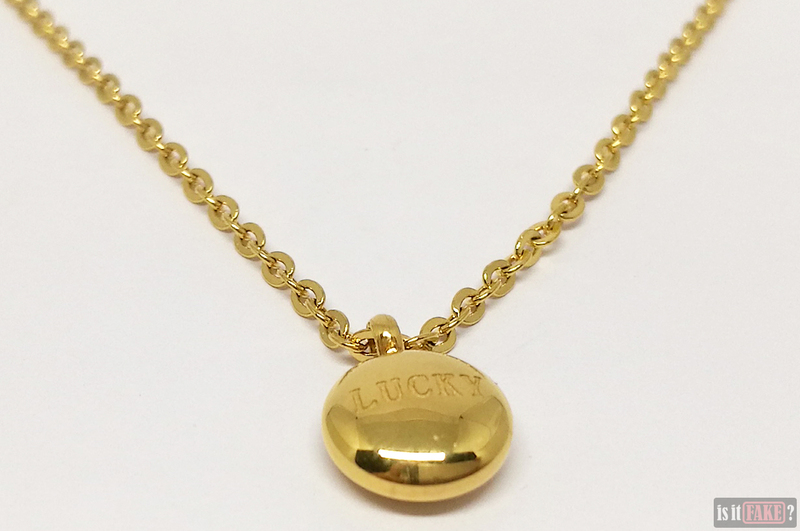 These shows have also presented us with some wonderful symbols of love in the form of jewelry. 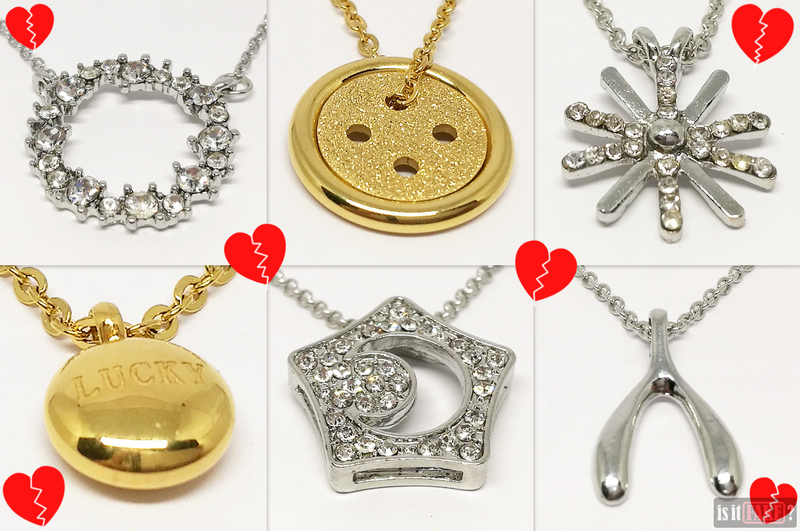 You have to admit, giving a fan a necklace from their favorite series is a touching way to say “I care.” But real necklaces are luxury items, and will likely cost you an arm and a leg. 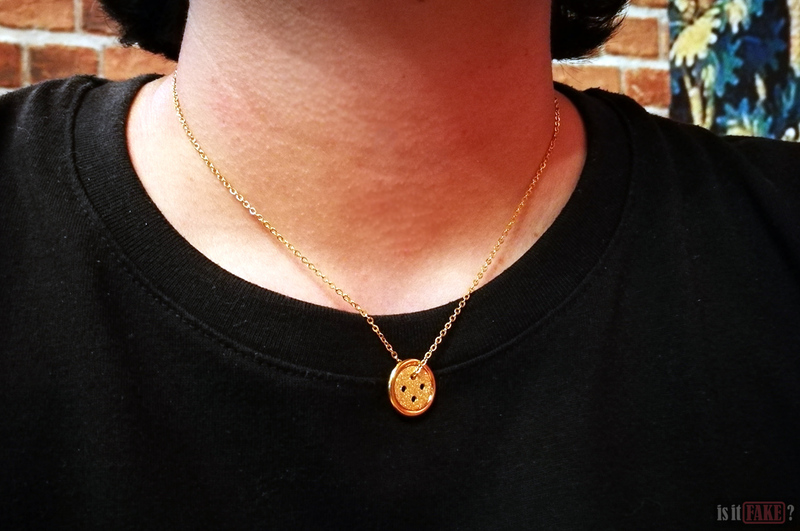 This is where bootleggers come in with their cheap replica jewelry. 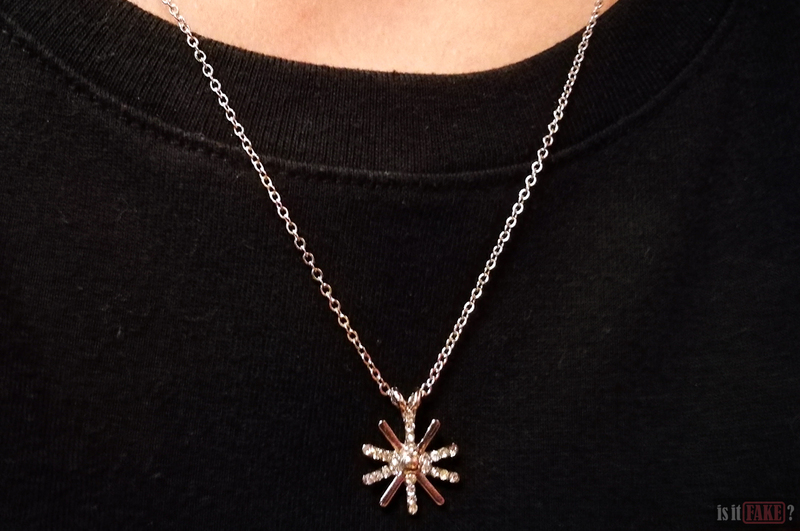 The question is: is it worth buying cheap jewelry? 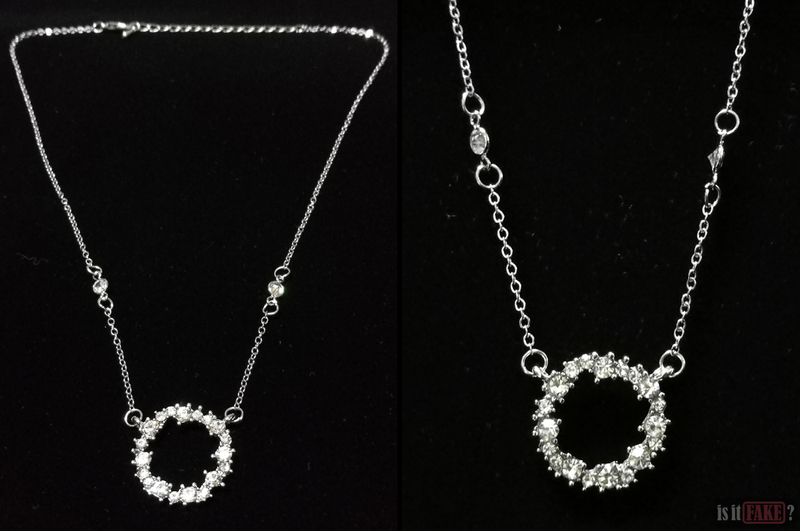 Would giving someone you adore a fake necklace constitute a gesture of love, or the complete opposite? 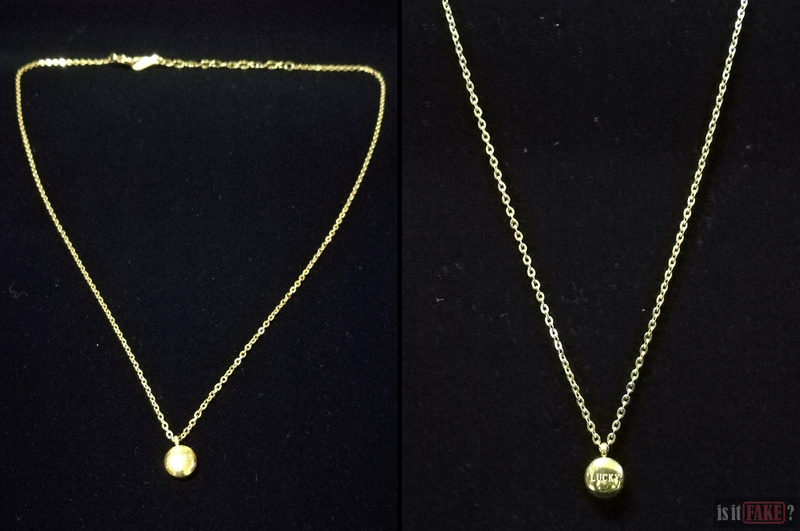 All 6 fake necklaces we acquired are replicas of the real necklaces featured in the aforementioned Korean dramas. 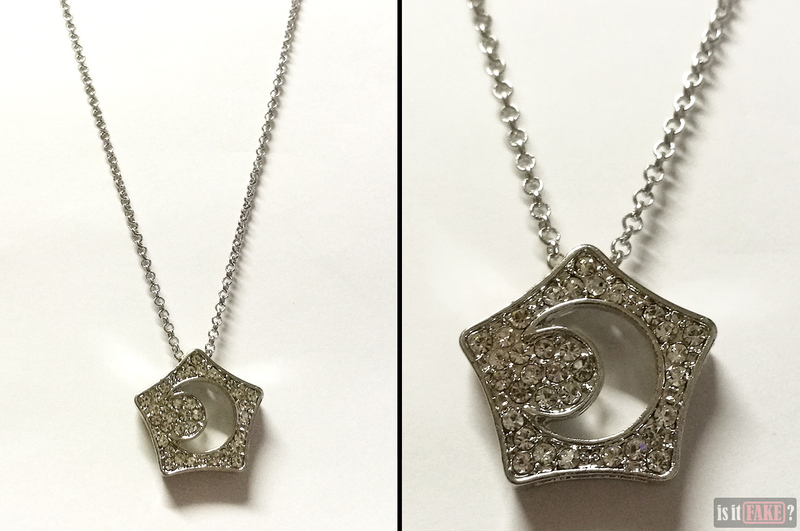 They were bought on AliExpress, a Chinese e-commerce site known for selling ludicrous amounts of bootlegs. 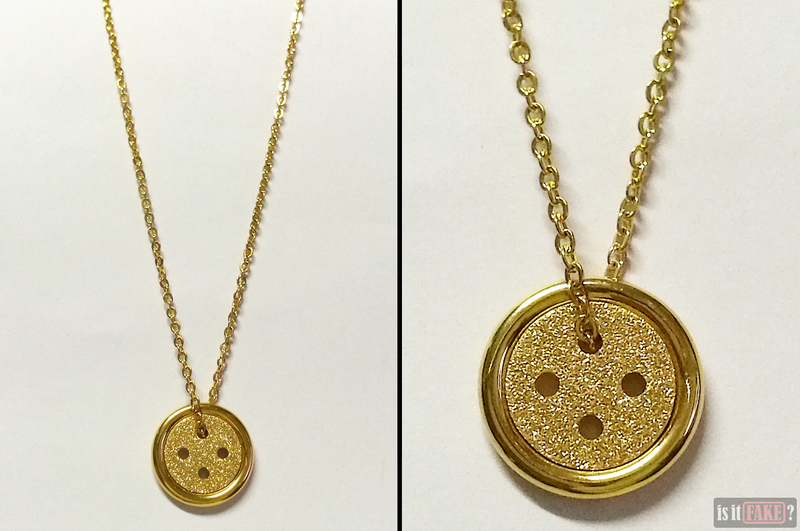 Of the 6 necklaces, only one came in a box – a cheap, orange, cardboard box in which the the necklace lay sandwiched between a foam insert and some bubble wrap. The rest were sheathed in clear plastic. 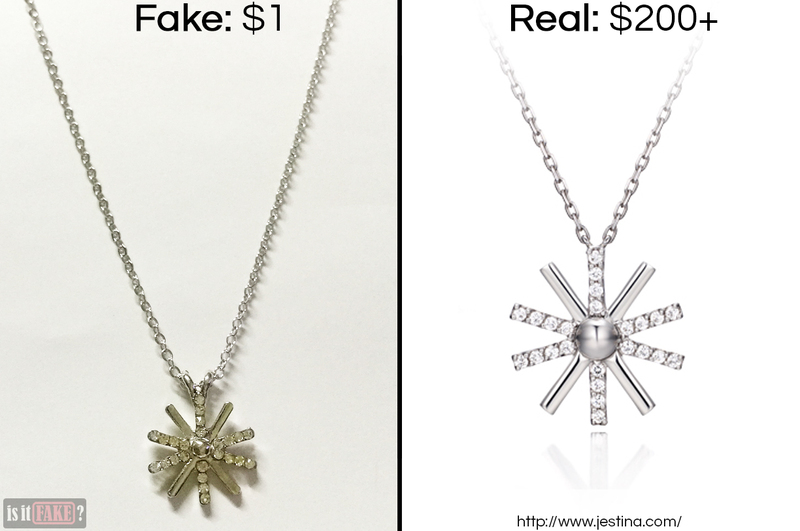 If you’ve never seen real jewelry, you can be forgiven for thinking the fakes don’t look bad. 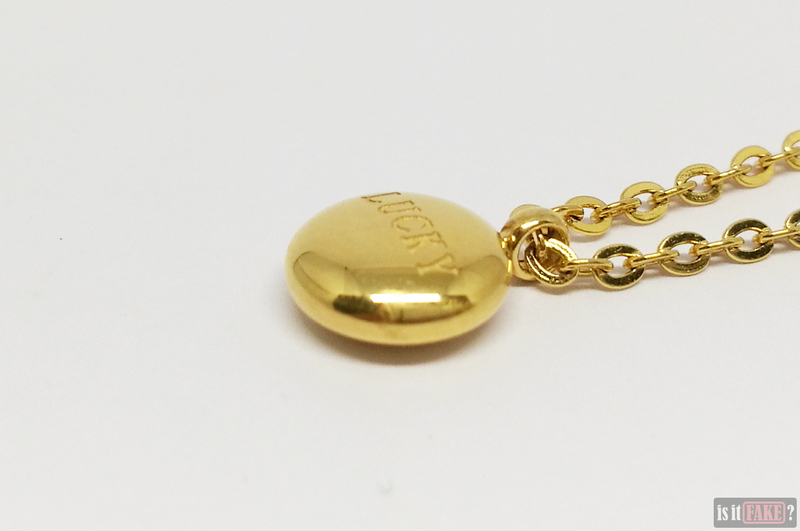 It’s easy to be impressed by shiny things, and these fakes are, indeed, quite shiny. 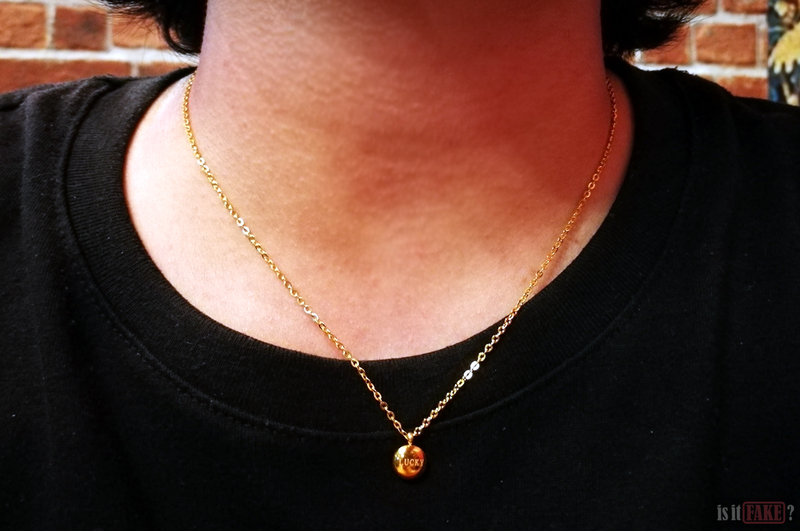 But real jewelry boast a pristine sheen that never dulls. 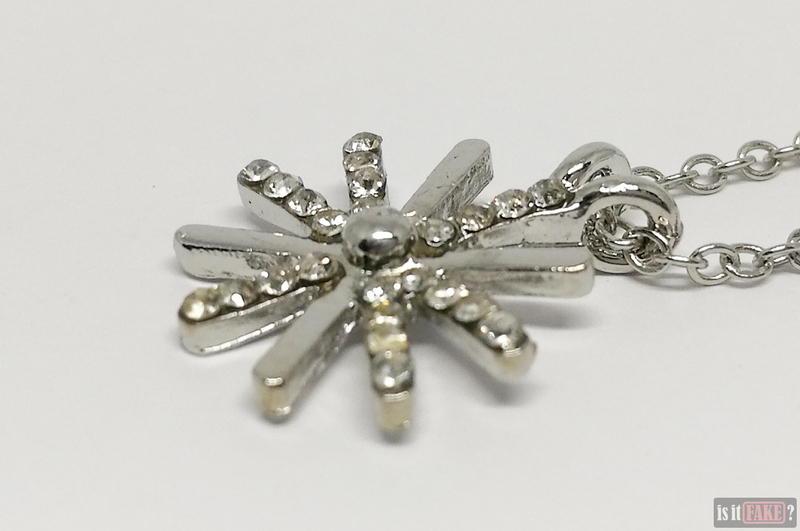 The silver, gold, or any other material that comprises its components is often lighter and purer in color. 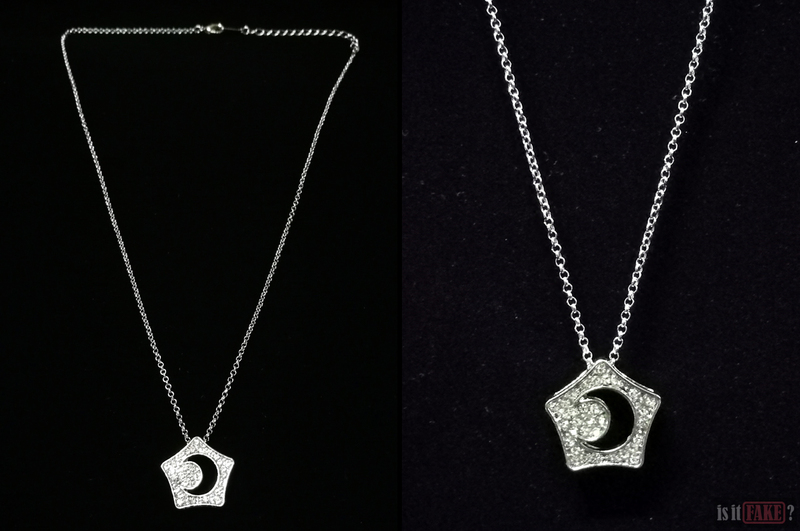 The gemstones sparkle like starlight, are more translucent, and disperse light more beautifully. 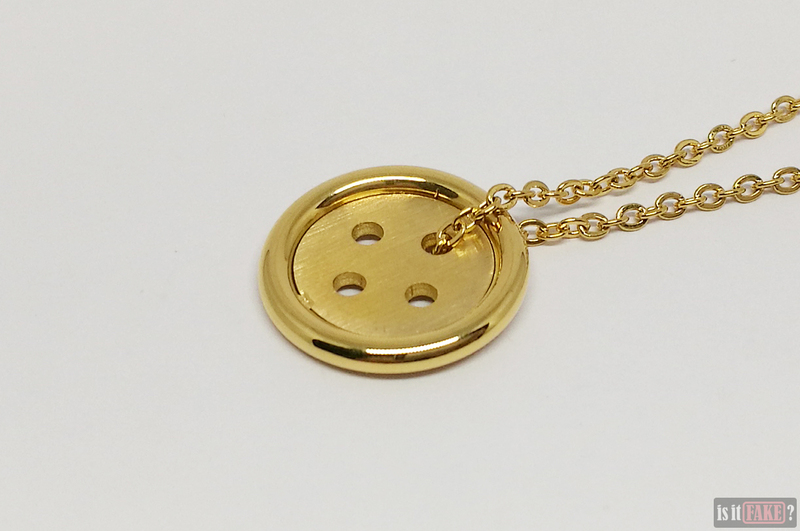 This is why these items are expensive, because they’re made from premium materials. 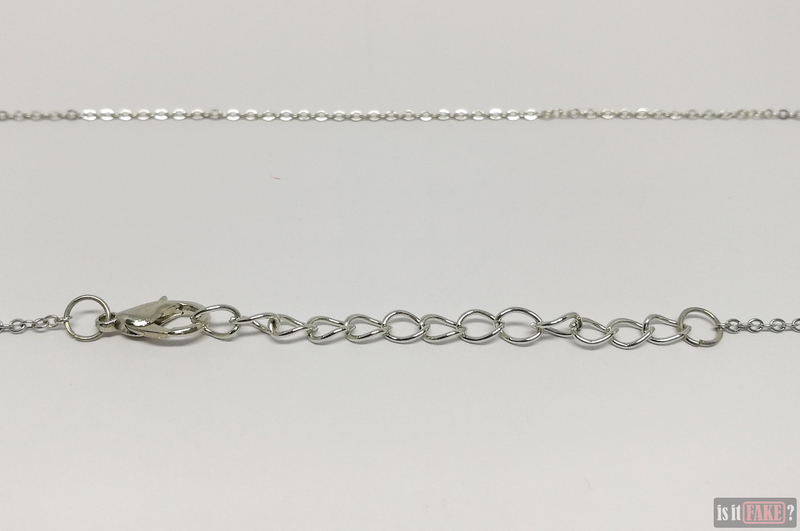 Those high-quality materials are also safer. 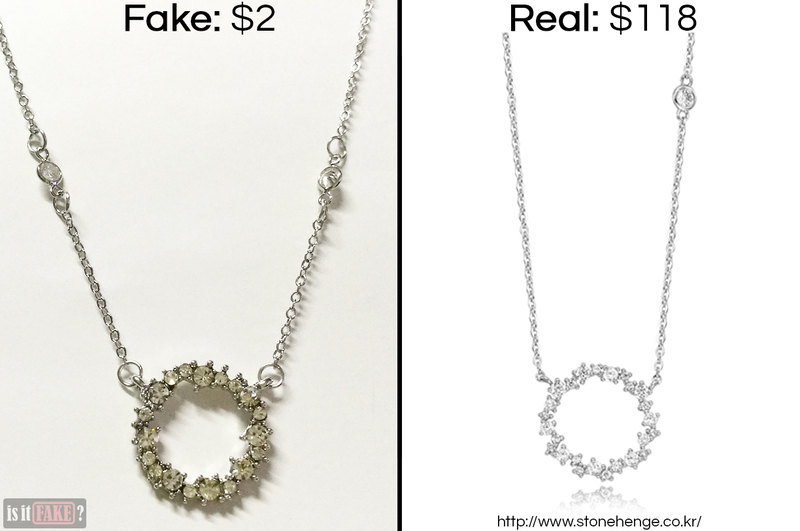 Fake jewelry is inexpensive because cheap, often toxic materials are used in their production. 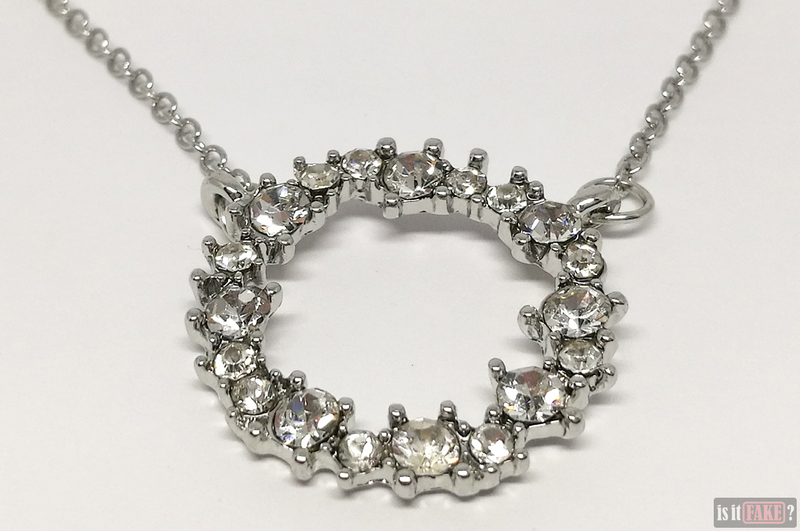 In fact, there have been many cases where lead, arsenic, cadmium, mercury, and other dangerous heavy metals were found in cheap jewelry. These substances have been associated with a range of health risks, from skin irritation, to reproductive problems, to cancer. 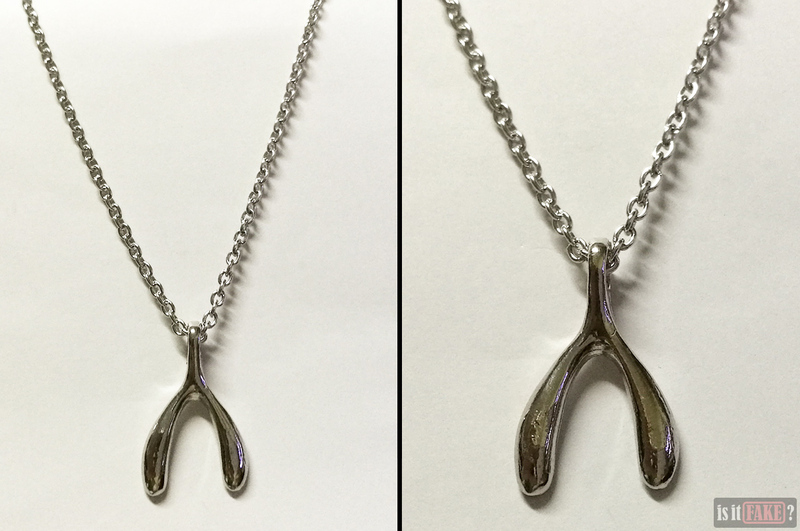 The fake necklaces we’re discussing today have already proven to be skin irritants. 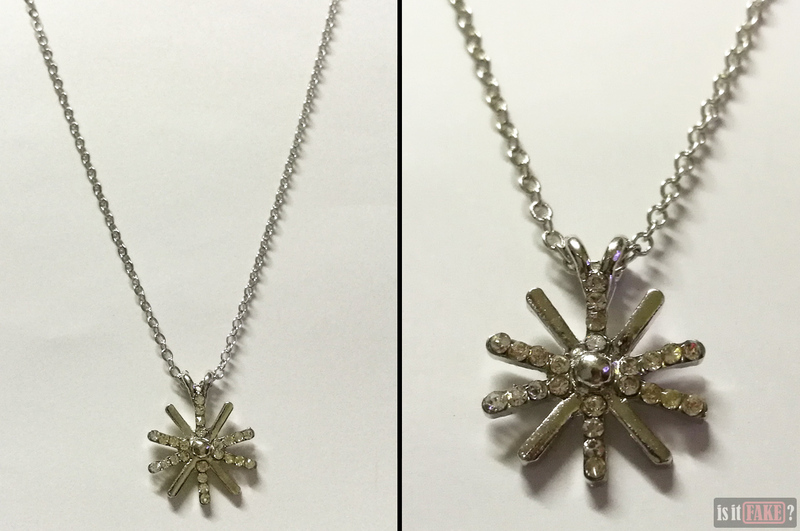 Within seconds of putting each one on, our volunteer complained about extreme itchiness around her neck. 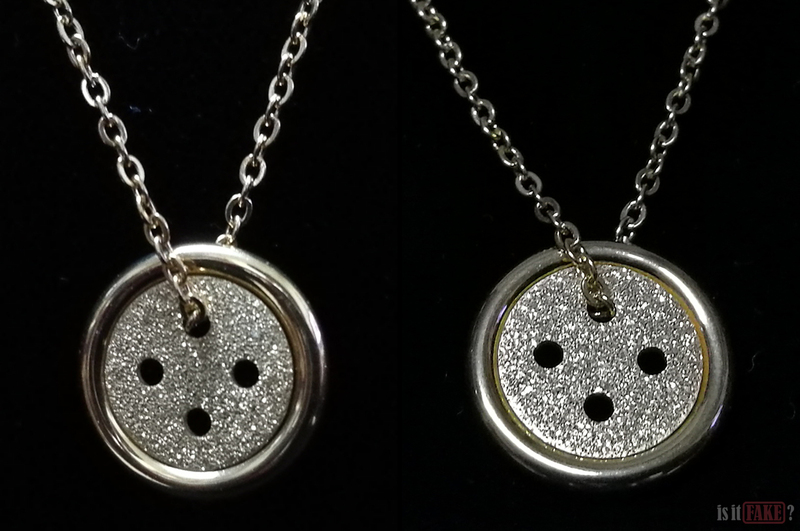 Imagine what prolonged exposure to these necklaces could do! 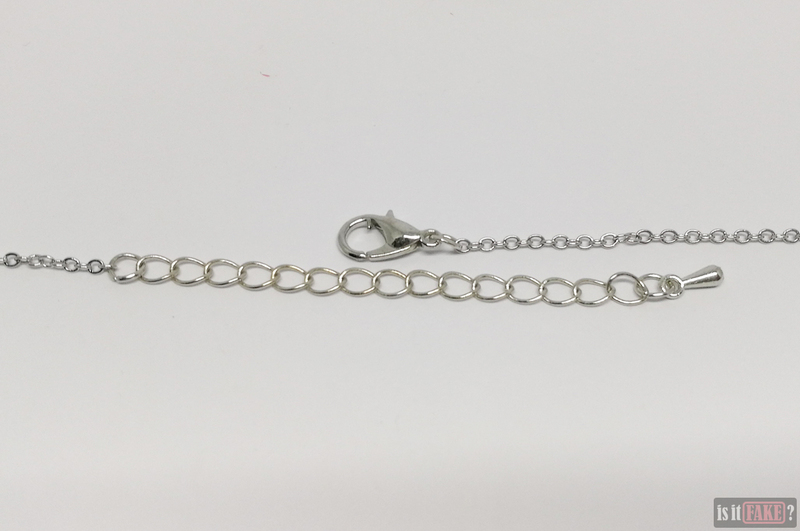 According to the seller on AliExpress, the fake Legend of the Blue Sea necklace was manufactured by some entity called Geomee. You’ll likely find information on companies and even apps named Geomee or Geome on the internet. 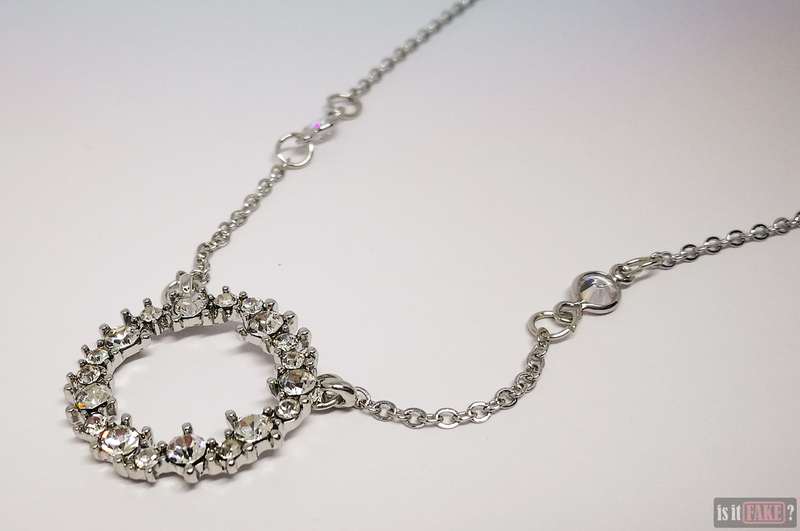 Unearthing data on one that manufactures jewelry, however, will be an exercise in futility. 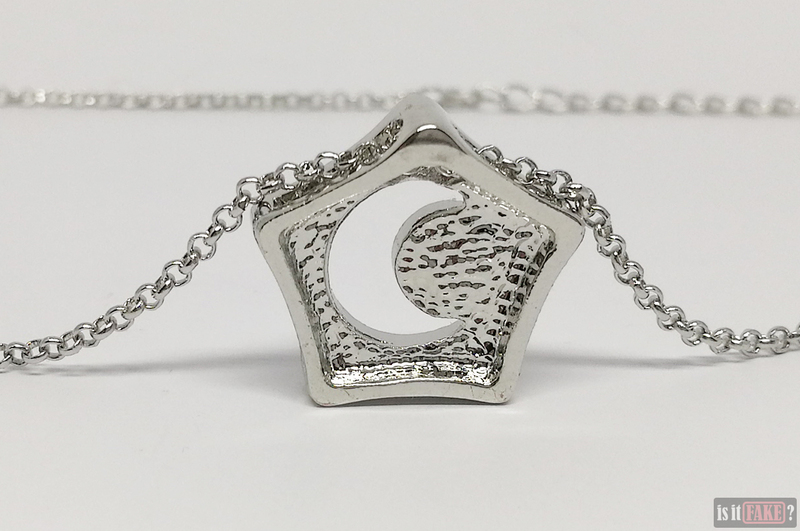 That’s because there is no information about this specific Geomee. As a legit company has nothing to hide from the law, they would readily provide information about themselves on the internet. Geomee is therefore likely one of the various aliases of a bootlegger – a bootlegger that sees fit to operate from within the shadows lest it get caught by the authorities. 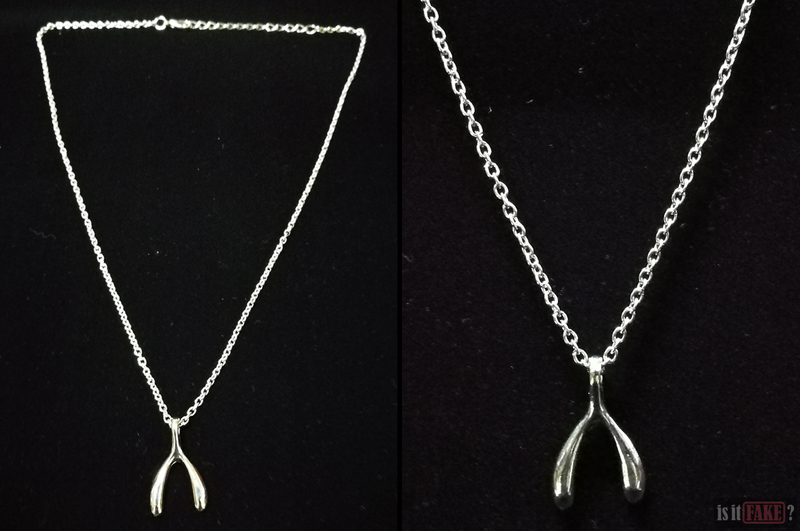 The fake Legend of the Blue Sea necklace is a replica of the necklace con artist Heo Joon Ho (Lee Min Ho) gives Shim Cheong (Jun Ji-hyun) in exchange for the latter’s bracelet. 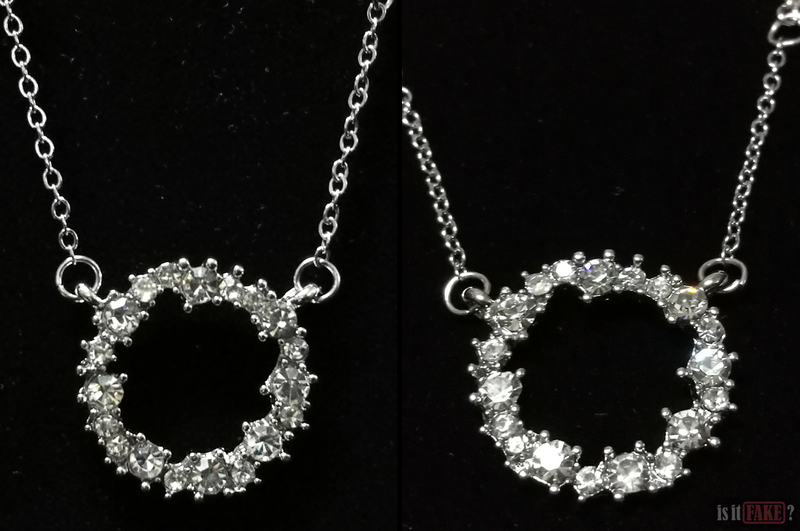 While both boast a pendant that looks like a wreath composed of precious stones, the fake’s ring is a tad thicker. 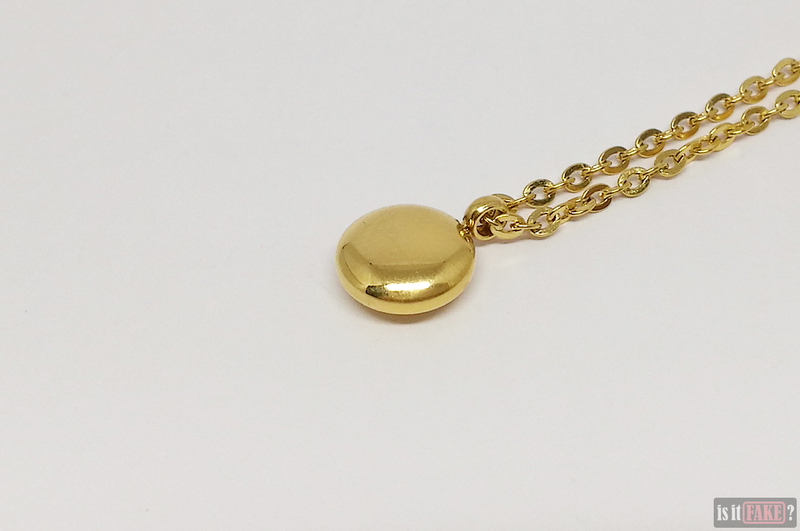 As is the case with all these fake necklaces, the materials used in the production of its pendant, chain, and bail are slightly darker in color, and its gemstones a tad less lustrous. 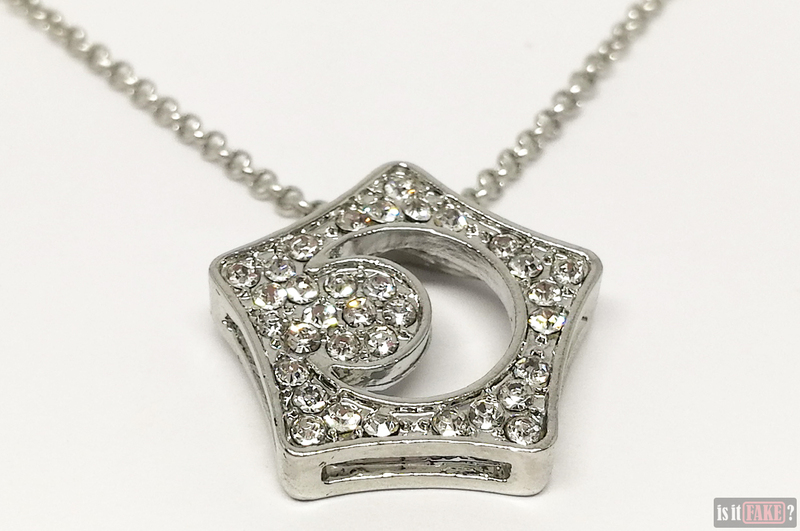 Official jewelry manufacturer StoneHenge sponsored most of the jewelry on the show. 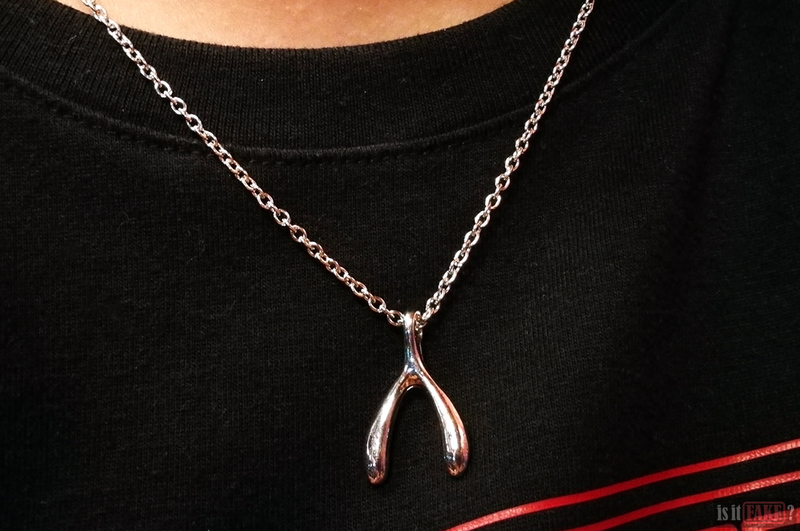 The items on display on the StoneHenge site will link you to external online stores such as HMall, where you can purchase this specific Legend of the Blue Sea necklace for $118. 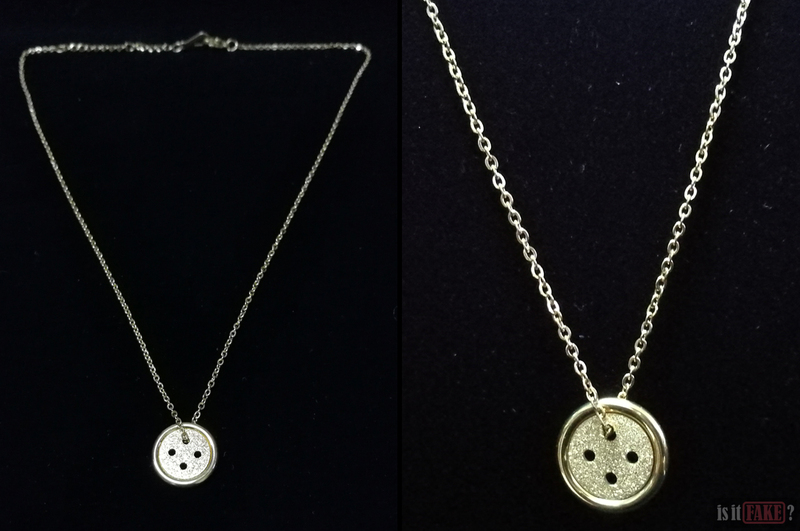 The necklace can also be found on Amazon, but as these are from third-party sellers, we strongly advise that you research about them before committing to a purchase. Like Geomee, there’s a distinct scarcity of information about LINGLEFENG on the internet. 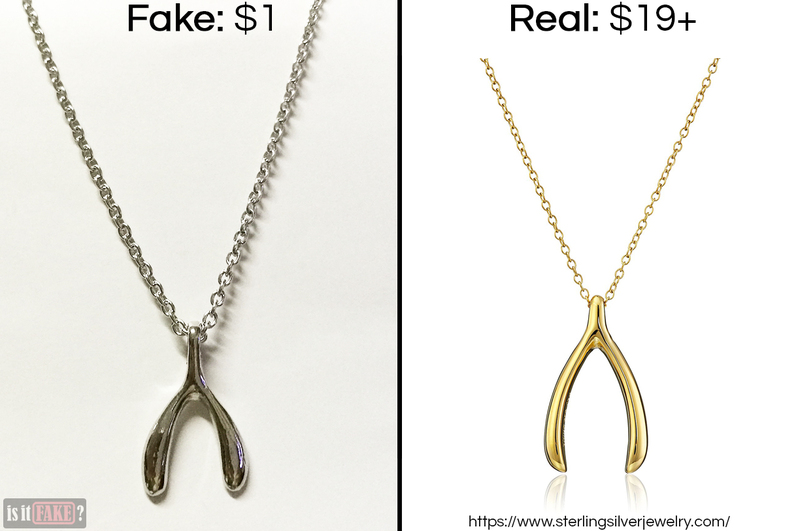 This bootlegger, however, seems most active on sites that have become infamous for their fakes, such as eBay. In the South Korean drama Pinocchio, Choi In-ha (Park Shin-hye) is a woman who breaks into hiccups whenever she tells a lie. 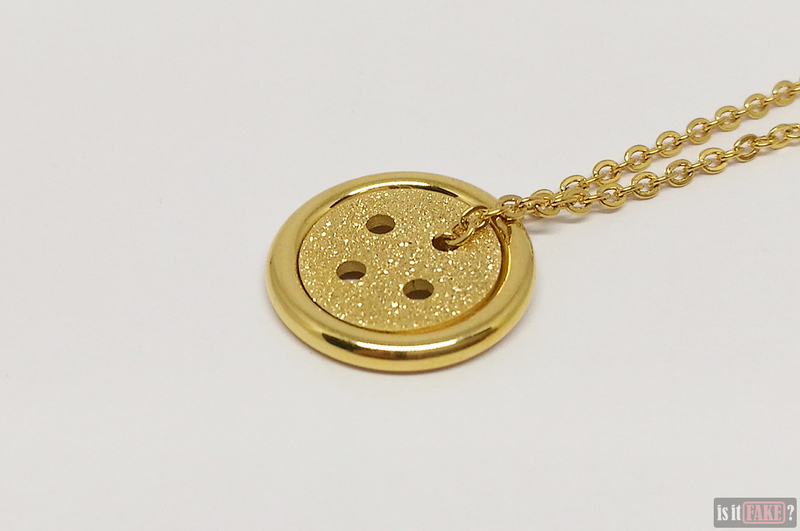 She also happens to wear a gold button necklace from jewelry manufacturer Agatha Paris. 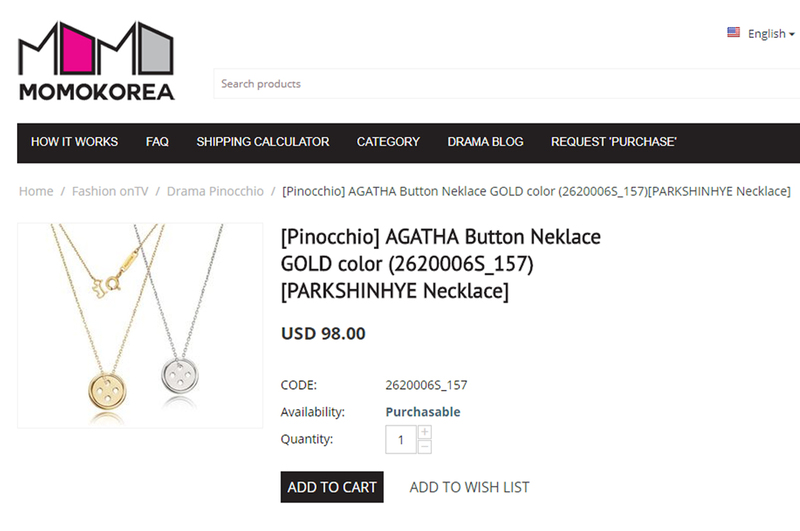 There are two versions on the Agatha Paris online store – one silver and one gold. At the moment, they’re both out of stock, but you can sign up so that you can be notified when the items are available again. 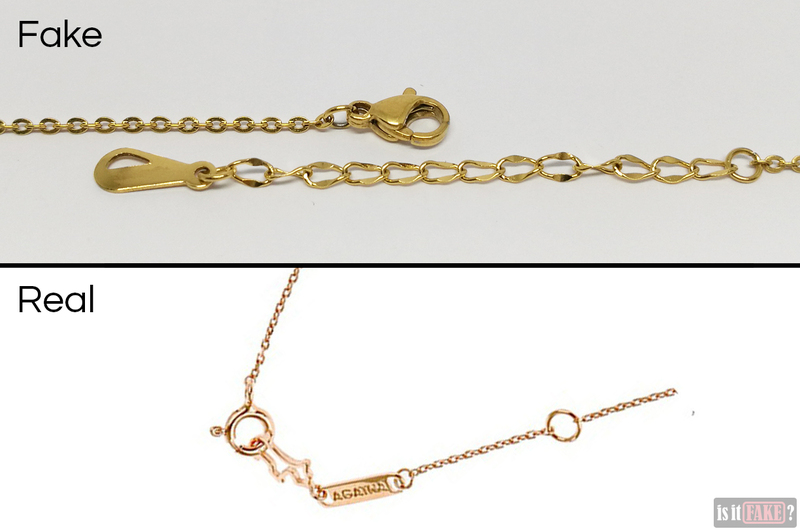 The site also has a page that lists the many physical retail stores in Australia and New Zealand where you can buy official Agatha Paris jewelry. 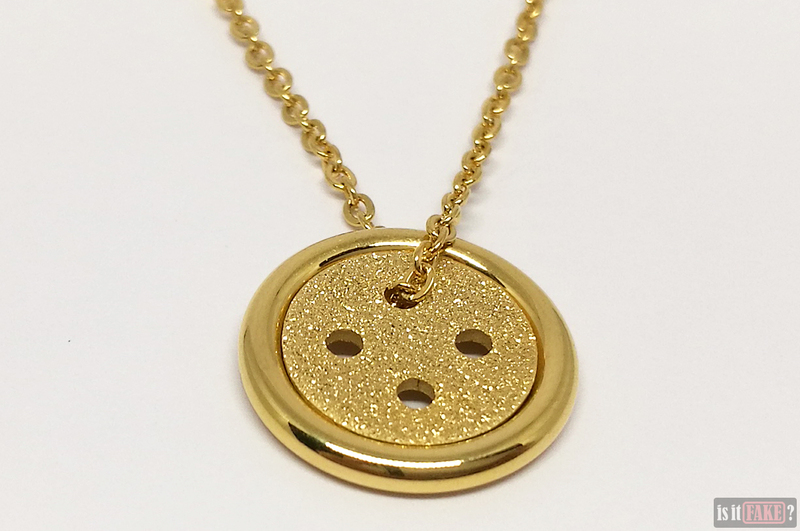 Alternatively, you can visit popular South Korean online store MomoKorea to buy the gold necklace for $98. 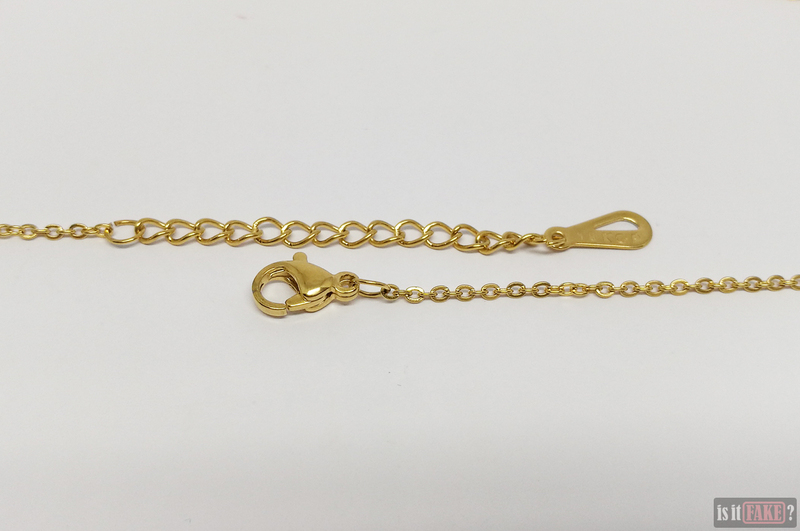 ZheFanku is another entity you’ll notice on untrustworthy online marketplaces such as Ali Express and eBay. 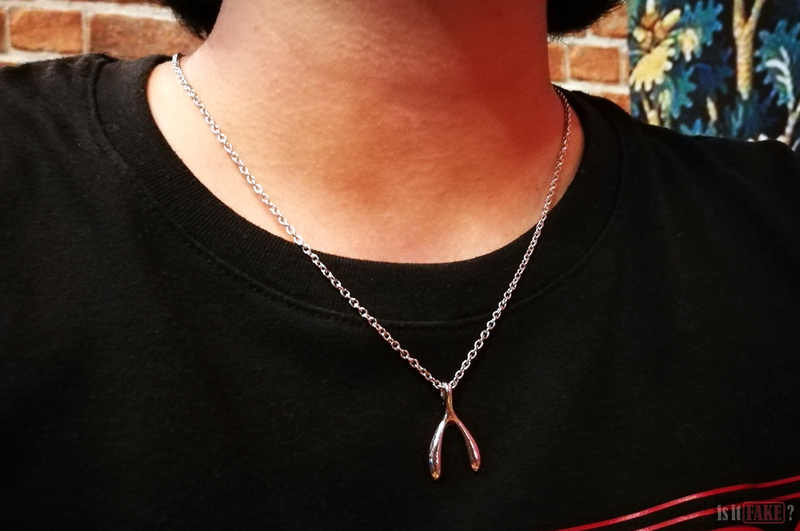 You’ll find no information legally connecting them to the jewelry seen in Descendants of the Sun. 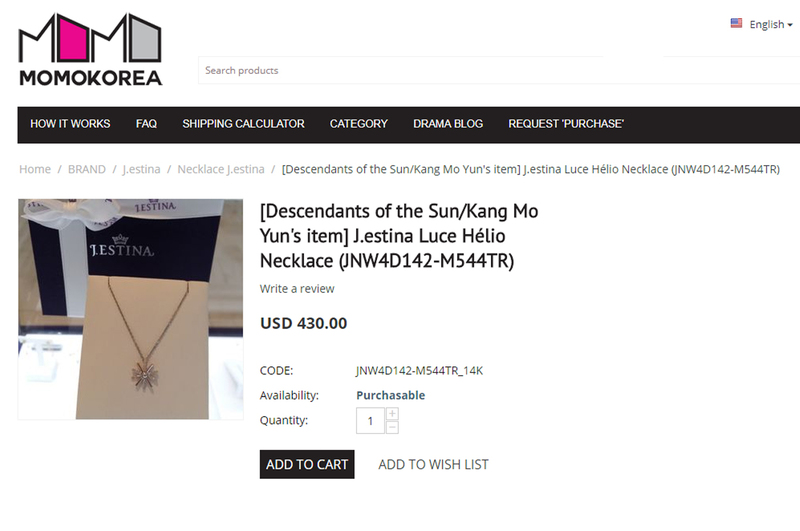 The gorgeous Lucé Helio necklace we see in military romantic drama Descendants of the Sun is a product from official jewelry manufacturer J.Estina. 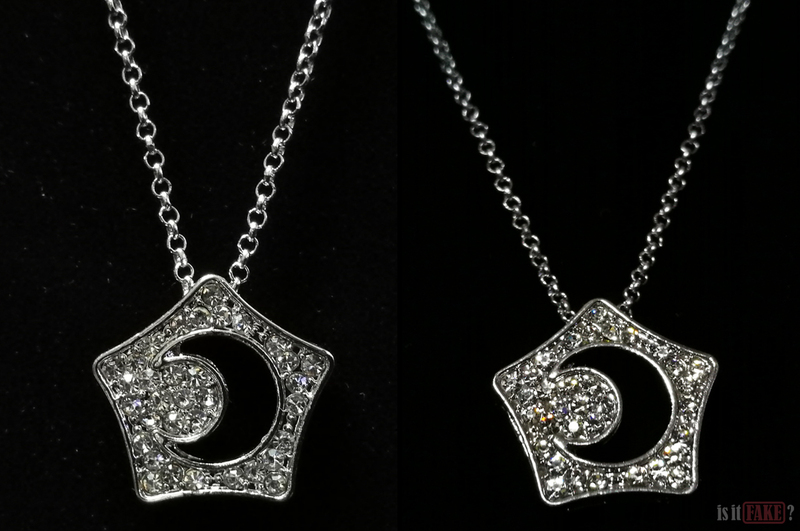 The necklace is no longer available on the company’s online store, but you can purchase the earrings for $46. 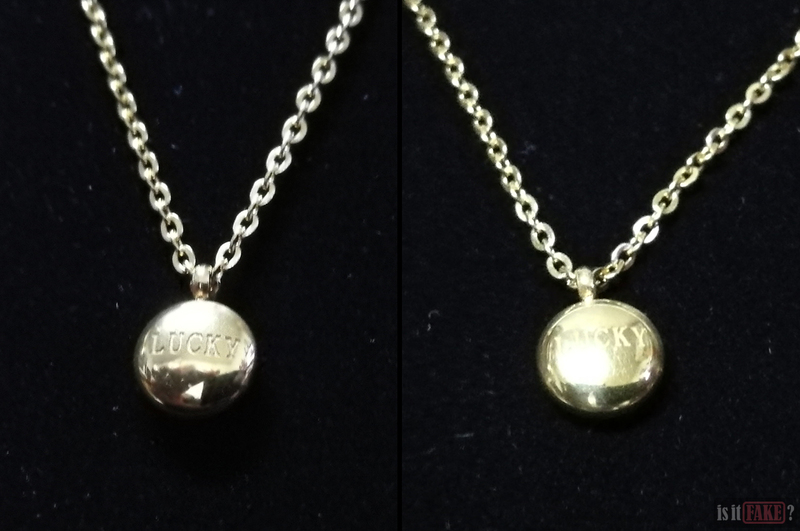 You can find the necklace on other online stores such as MomoKorea. 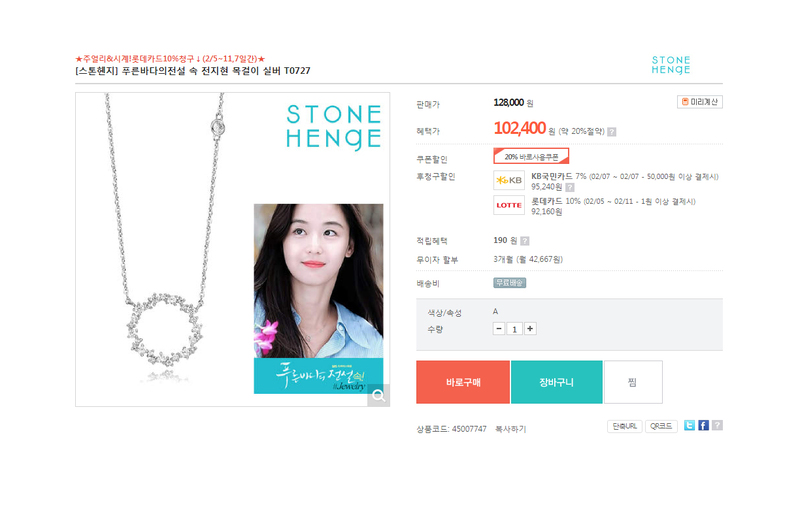 The earrings are also available on HMall for $88. TYME is a company that manufactures hairstyling products, such as hair dryers, brushes, and shampoo. 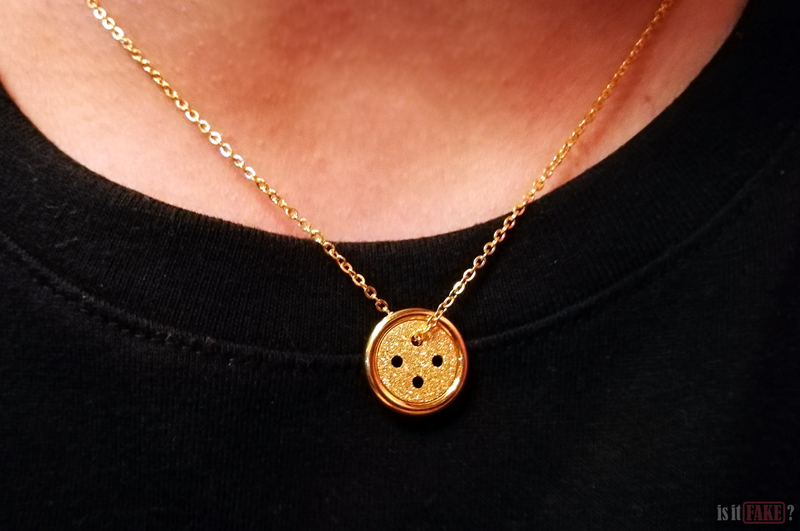 They don’t make jewelry. 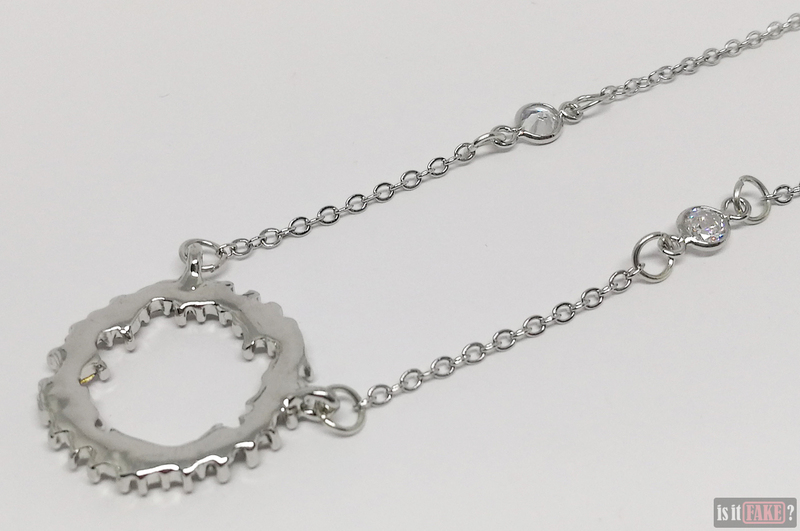 There is another company called TYME Jewelry. 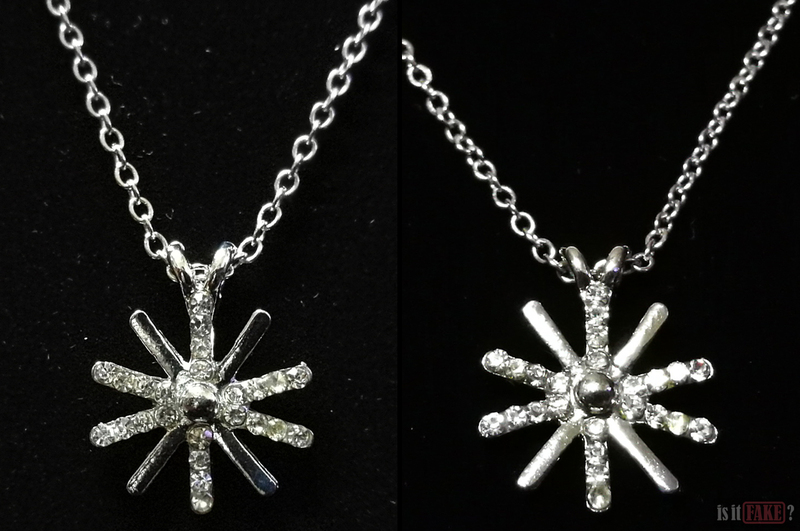 There’s no evidence, however, that they manufactured the necklace featured in the Korean drama Doctors. 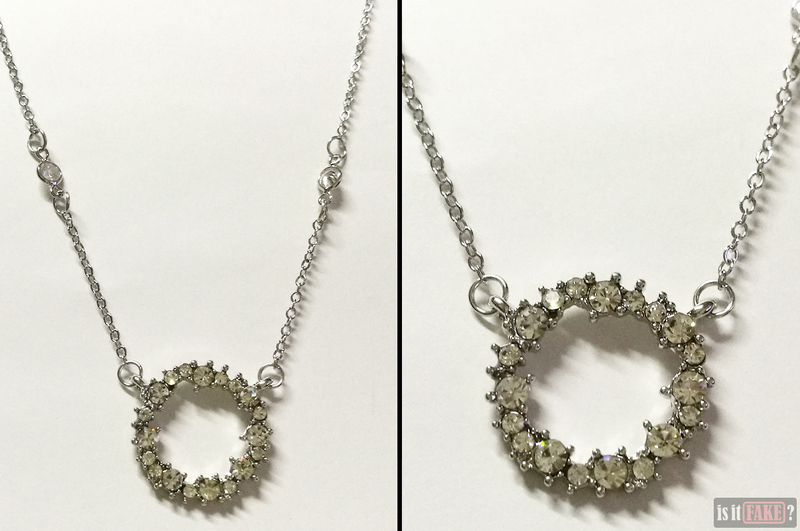 It’s possible the bootleggers behind this fake necklace falsely identified themselves as “TYME” to trick people into thinking their products are legit. 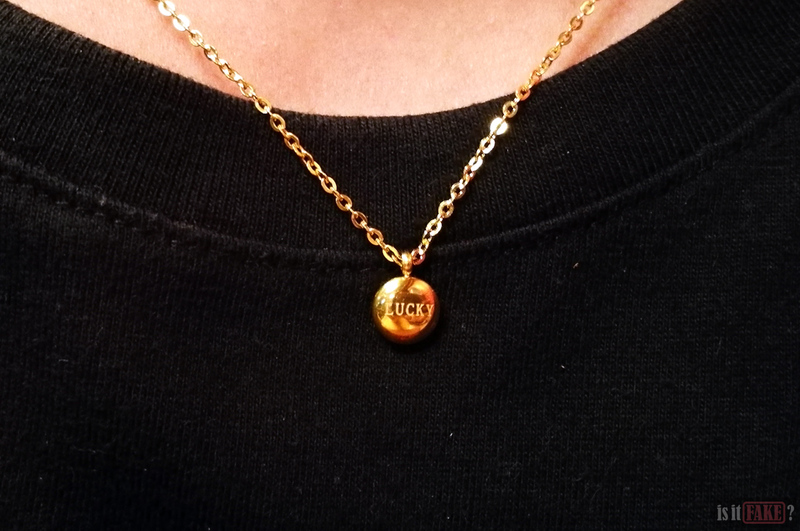 This necklace was the only one that came in a box. 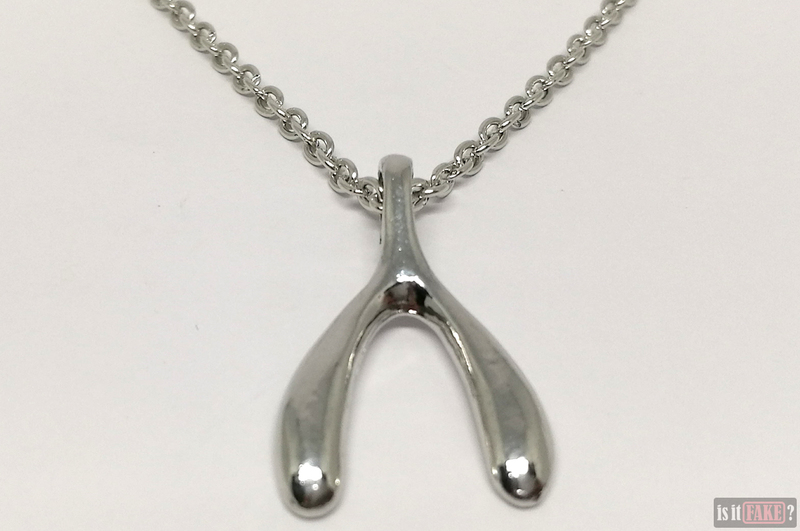 The official necklace as seen in the series was manufactured by Agatha Paris. 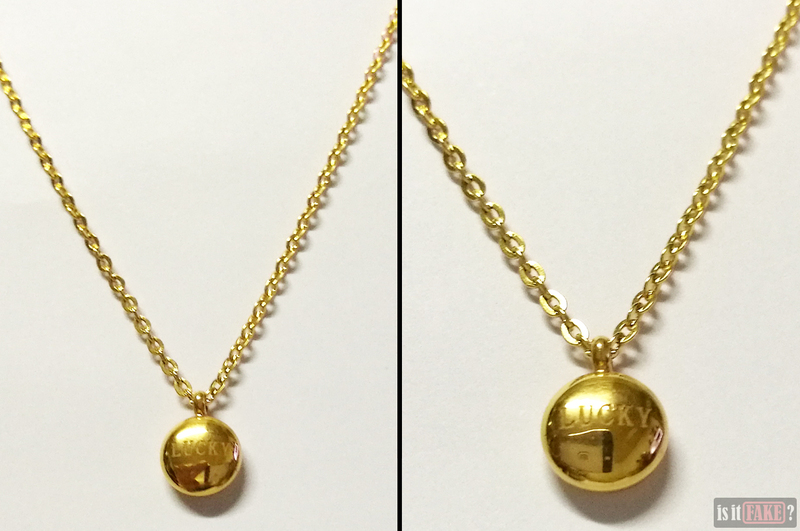 As you can see in one of the pictures above, the original product boasts a clasp that attaches to a dog-shaped ornament, whereas the fake comes with no such decoration. 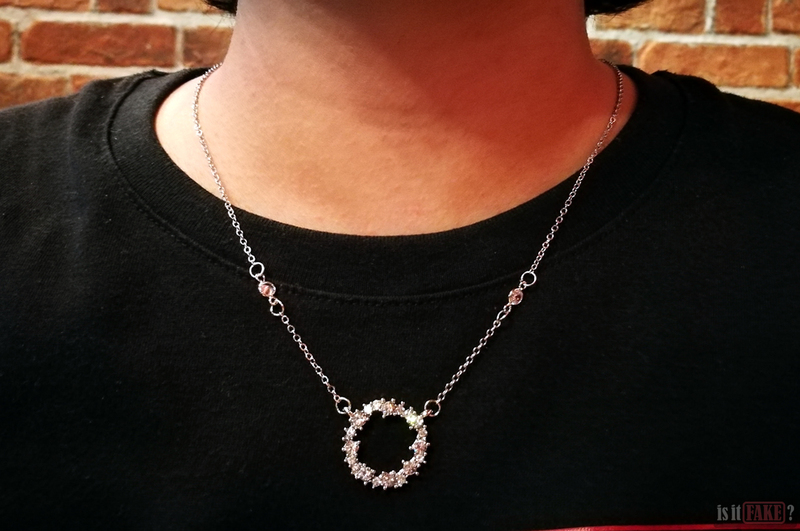 While the official Agatha Paris piece is no longer available in the company’s online store, you can find similar-looking alternatives, such as this one and this one. 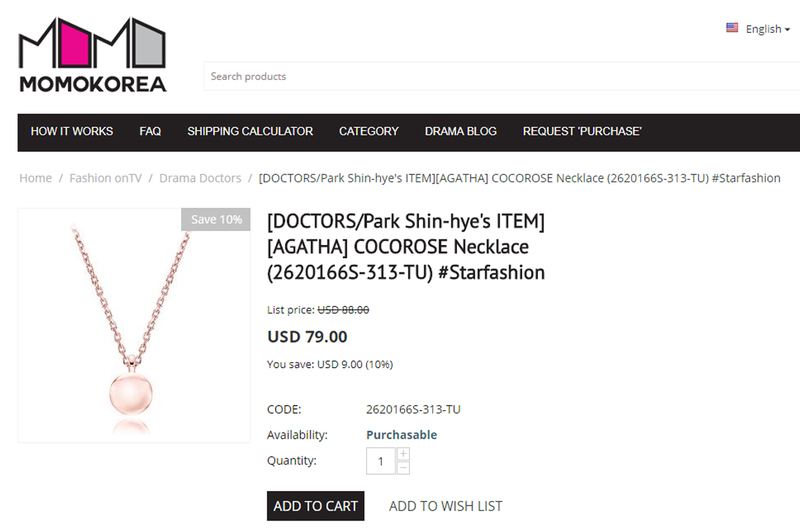 A “rose”-colored version of the necklace is available on MomoKorea for $79. 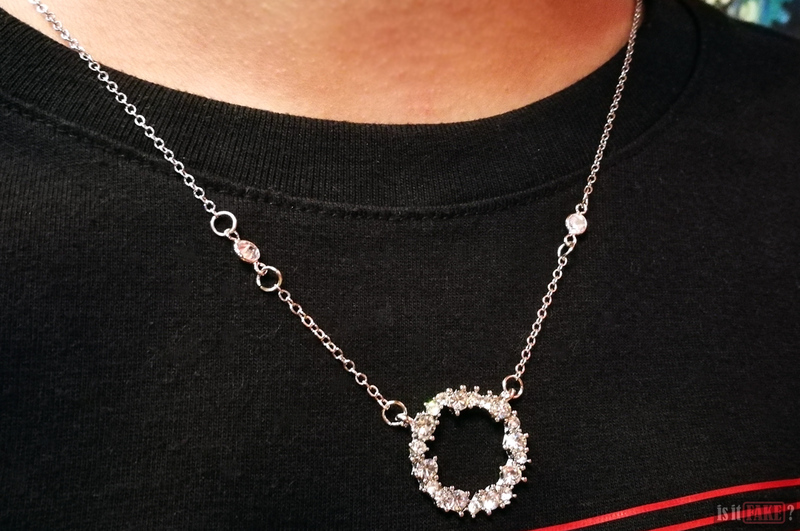 “Crystal Jewelry” is an extremely generic name for a jewelry manufacturer. 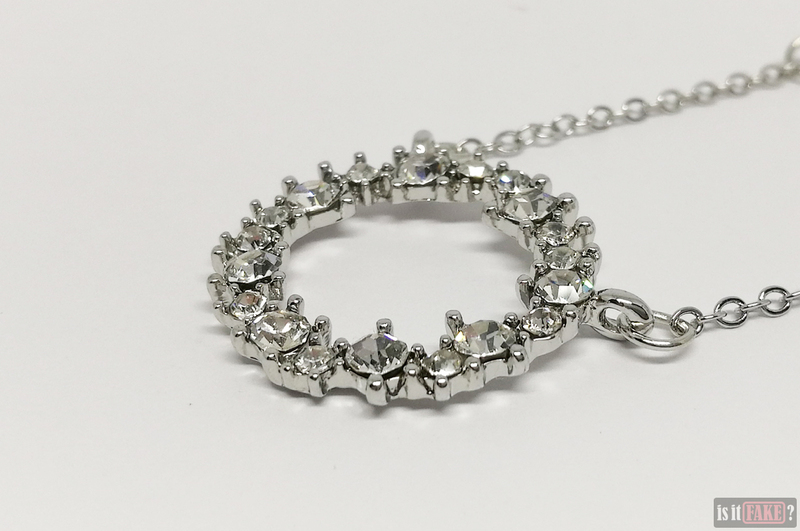 Searching for the company on the internet is therefore a pain, as it’ll result in a wide array of businesses that use the word “crystal” and “jewelry” to describe their products. 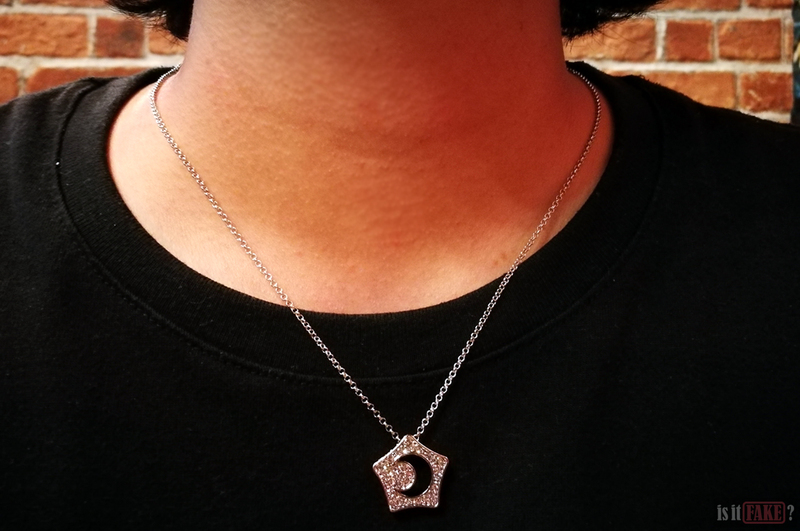 What you won’t find is an organization specifically named Crystal Jewelry that created the necklace popularized by the Boys Over Flowers Korean drama. 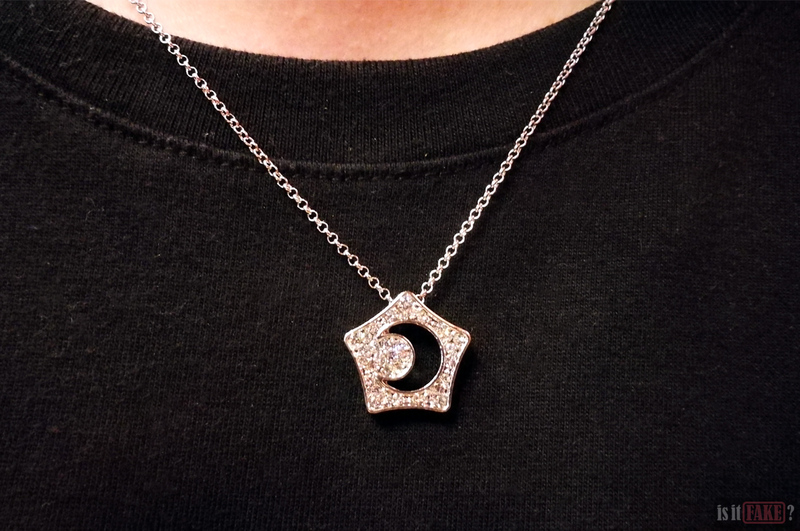 The Kissing Star necklace is another StoneHenge product. 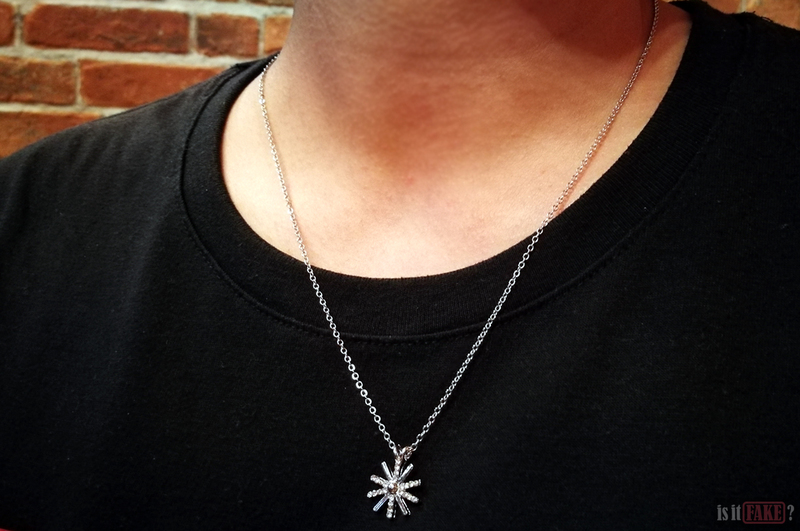 Unfortunately, as the item is quite old (Boys Over Flowers aired in 2009), the necklace is no longer available in the online store. 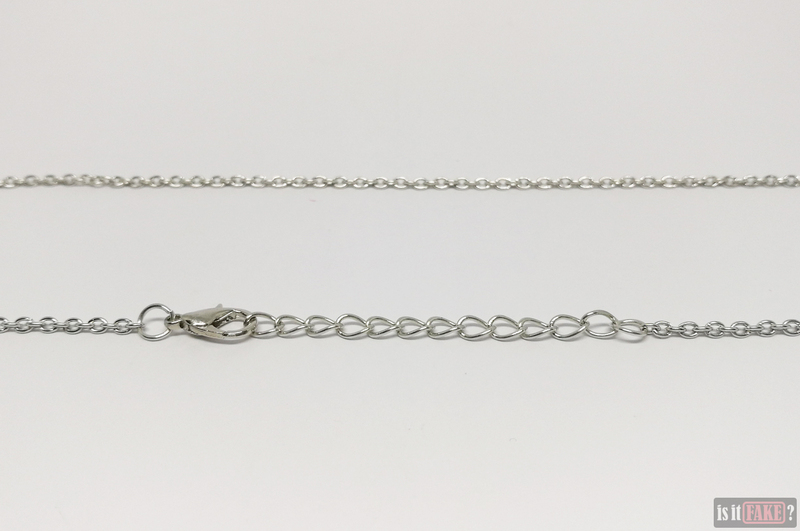 It is, in fact, extremely rare – so much so that you won’t find any other reliable online stores selling the official product. 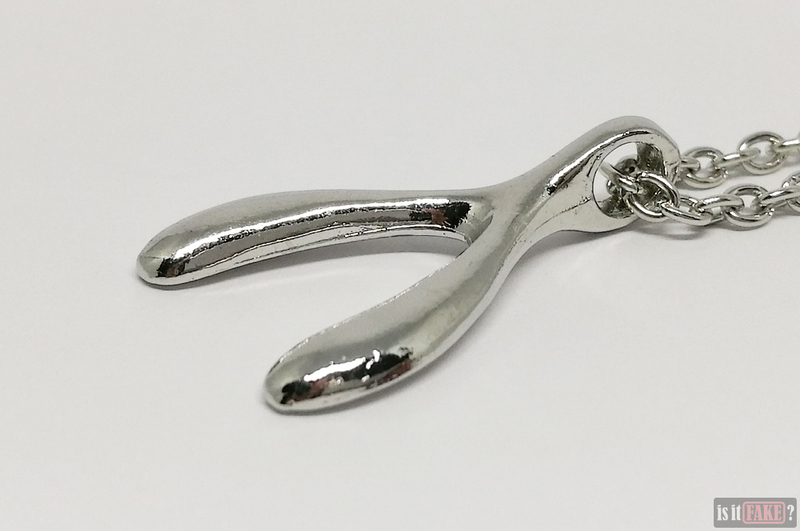 There are hundreds of terrible replicas online, however. 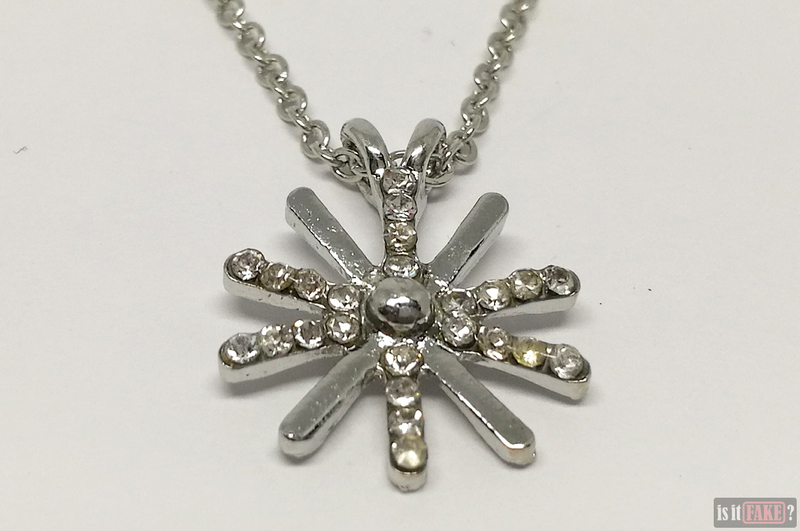 We cannot emphasize enough the importance of staying away from cheap jewelry for the reasons discussed above. Unlike the other bootleggers we discussed, the creatively named Chinese “company” SexeMara has a website. We highly discourage visiting the site, however, as it’ll flood you with ads, pop-ups, most probably malware, and goodness knows what else. Not a practice you’d expect from a legit website and company. 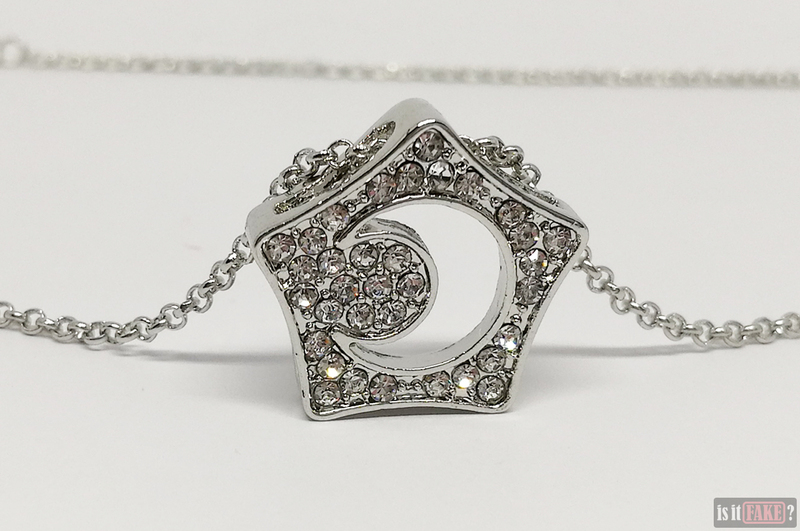 The Chinese company SexeMara has stores in various shady e-commerce sites, but it seems to favor AliExpress above all. Here, it sells mostly fashion items such as blouses and pants. 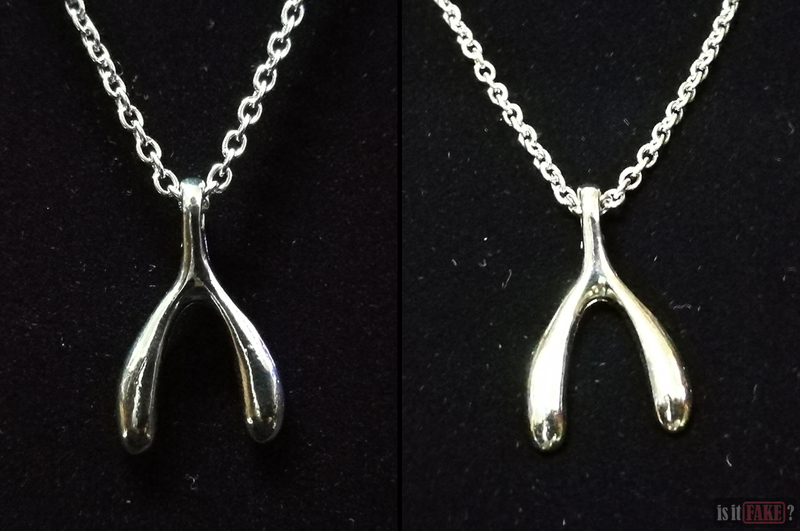 The wishbone necklace that we see in The Heirs is a fairly common design. 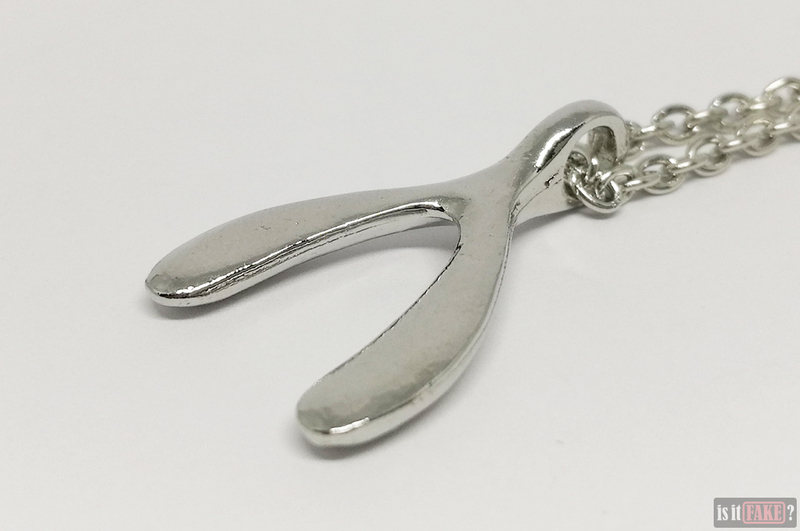 You’ll find a number of manufacturers with similar items in their product catalogues. 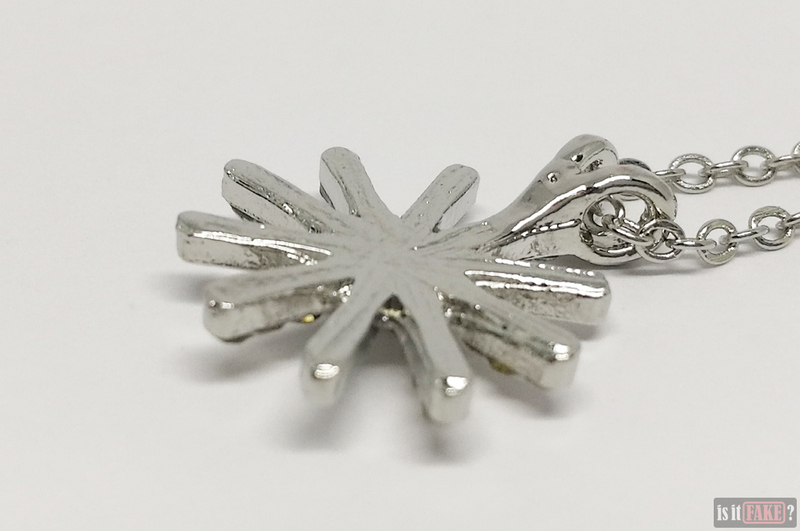 One such manufacturer is Sterling Silver. 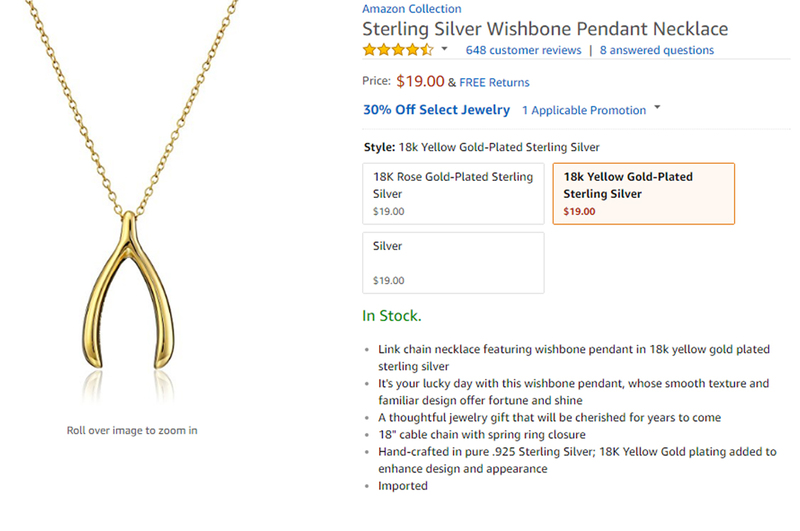 Their wishbone necklace is out of stock on their online store, but you can buy the $19 gold wishbone variant on Amazon. From Amazon Japan, you can buy the gold version for $26, and the silver one for $41. 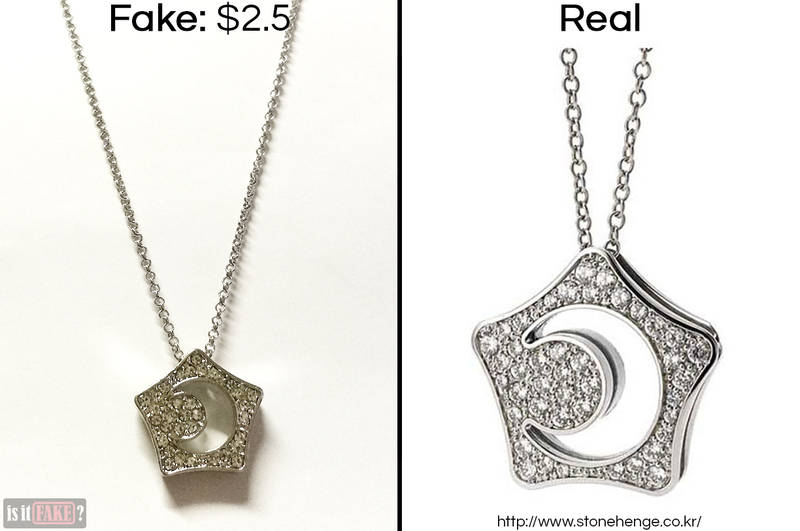 Fake jewelry may be affordable, but they lack the breathtaking luster of those made by legit jewelry makers. 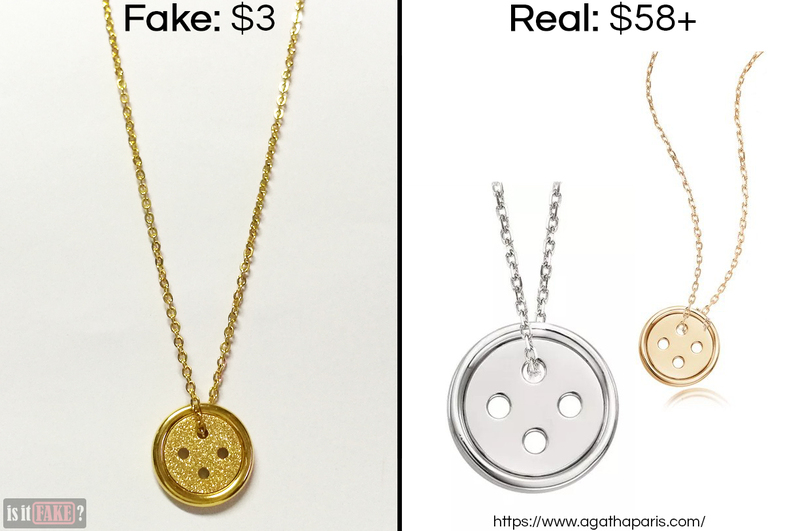 More importantly, there’s a good chance these fakes are tainted by harmful substances that pose a variety of health hazards. 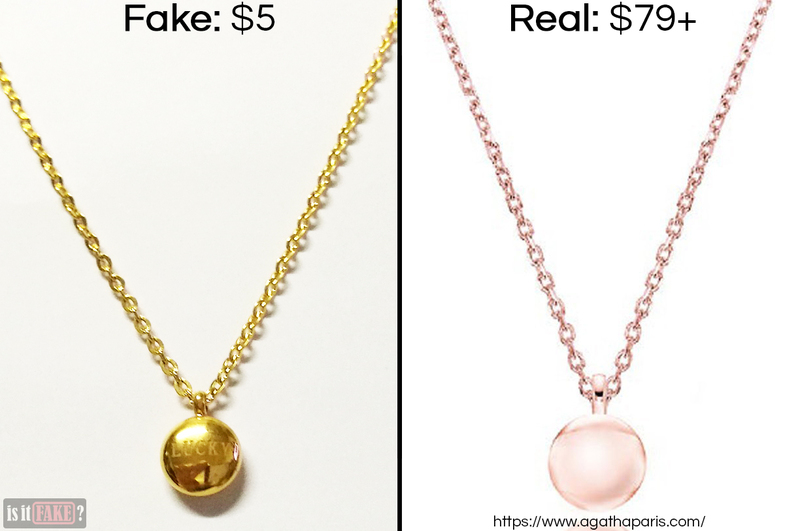 The 6 necklaces we reviewed in this article are excellent examples of such fakes. 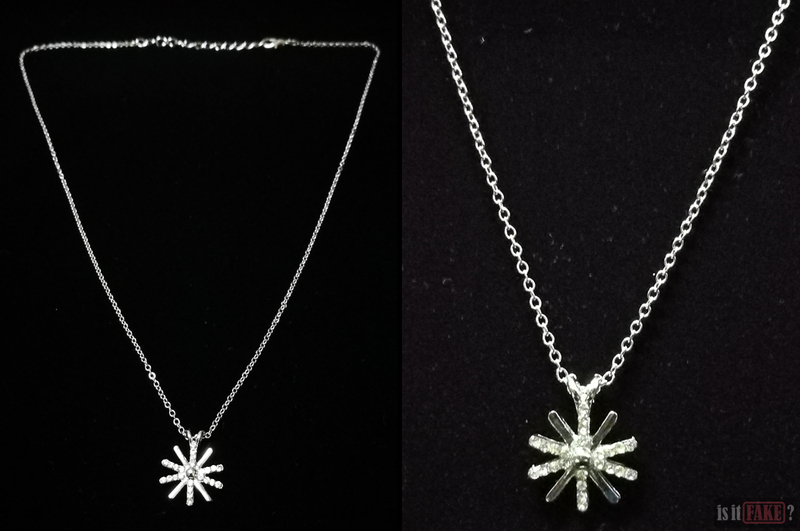 They may resemble the jewelry featured in beloved Korean dramas, but they’re not worth the purchase if your own health is of any value to you, or if you’re after true beauty. 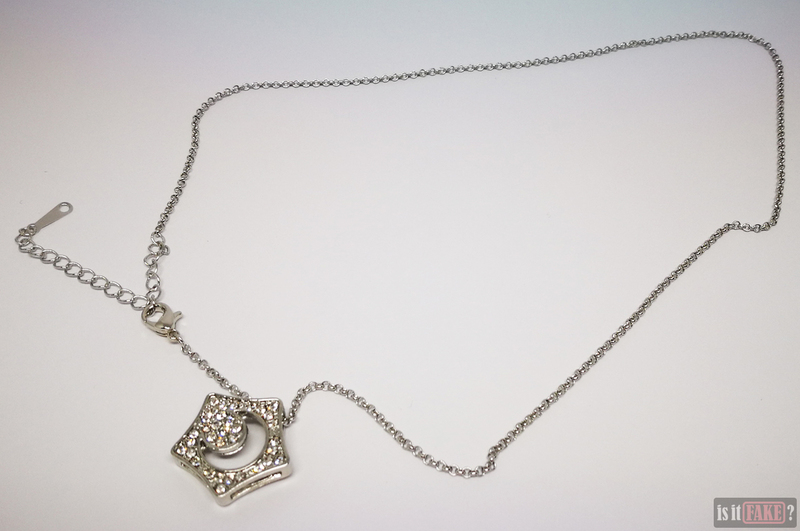 As such, we believe a collective terrible rating of 75% for these necklaces is justified.